We are one of the most experienced providers of office refurbishment and have worked with hundreds of businesses over the years. One of the biggest problems that most businesses tend to face is a poorly designed or ineffective office space. It is a major cause of low productivity, low employee well being, high levels of negativity and frustration. In fact, a bad office space regularly leads to high staff turnover, which can have a hugely negative impact on your business as a whole. Why should you choose professional office refurbishment? Refurbishing and renovating your office space is essential for a range of reasons. Whether you want to increase productivity, your integrated computer systems or just make your workplace a more enjoyable and pleasant area to be in, you need to work with a professional team for the best results. Our experienced team, with more than 30 years' expertise in the industry, have been at the forefront of office design and refurbishment innovation. 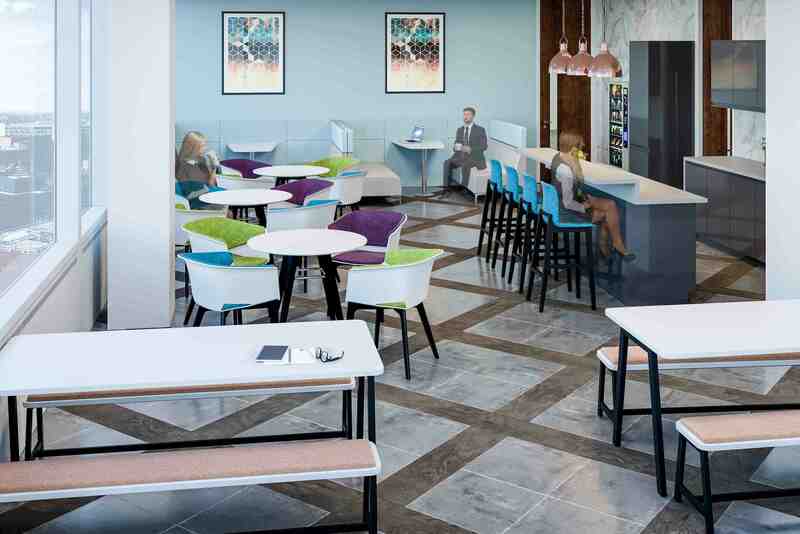 We are focused on improving employee productivity and workplace wellbeing in all of our projects, as well as reflecting the unique identity of the company behind the office. We don't believe in blindly following the latest industry trends. Instead, we're focused on creating truly unique working environments to support any business. All of our refurbishment designs are created around your employees and the specific needs of your company. That means that you'll never need to pay, or give up valuable space, for features that you'll never use and never need. Saying that, we firmly believe in designing office refurbishments which are designed to last, ensuring that your business can remain secure, functional and attractive to employees even as new technology is introduced and working habits change. Get in touch with Oaktree Interiors today, for your office refurb! Here at Oaktree Interiors, we are proud to be able to provide such high quality office design and refurbishment. If you're looking to improve the quality of your working space for current and future employees, get in touch with the professional team at Oaktree today. You can reach our office refurbishment team today on 0345 21 86955 and discuss your project's unique requirements. If you have any concerns, don't hesitate to contact us today, and we'll do our best to answer any questions you might have.